Eucalyptus trees are common in this area. They tower above everything casting mottled shadows. Some are dead – or dying – including these ones we photographed. 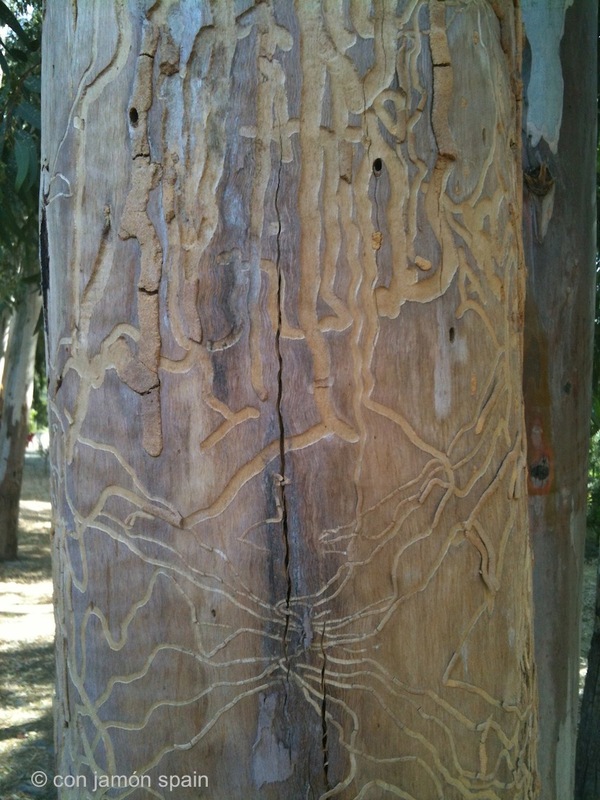 They’ve been attacked by Eucalyptus Longhorned Borers. Healthier trees are more resistant to them but weaker trees under stress – maybe during very dry spells – are less so. Despite the damage done, the patterns made are quite beautiful. 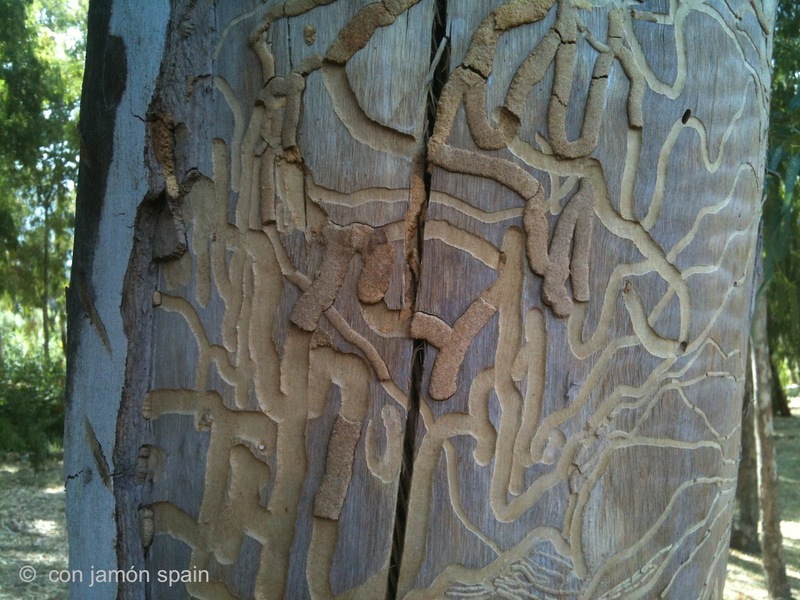 Note how, as the insect grows in size on its journey under the bark, its path becomes wider.